One of my favorite places to shoot in Colorado is at Maroon Lake. With the famous North Maroon and Maroon Peaks, both over 14,000 feet, in the background, the still water of Maroon Lake is calm and clear. 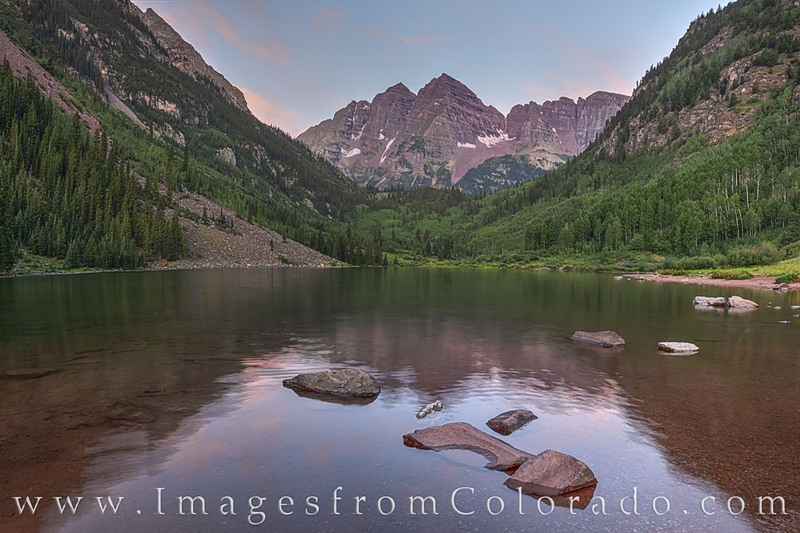 This image from the Maroon Bells Wilderness near Aspen was taken about 5:30am on a crisp July morning. Photo © copyright by Rob Greebon.